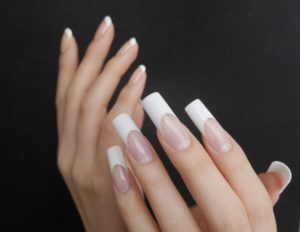 At Cin-Cia, you can acquire the world’s leading Japanese nail technique in as short as one month. The classes are taught conscientiously by Japan’s top-level instructors using a translation device. 1.Classes are offered in English with a translation device. 2.The instructors are top class nail technicians in Japan who are active in various fields of media, including TV programs and commercials. 3.The students can take small size classes at the time of their choice. 4.The students will receive a diploma. The students will learn wide variety of skills such as cleaning and filing nails, decorating nails with colored varnish and world-popular gel nail, as well as nail art techniques. In addition, the students will gain knowledge of all the necessary techniques needed at nail salons including treatment, pedicure, and the use of an electric nail file machine. This is the first step to be a professional nail technician. The students will properly learn the basics to be a manicurist. Our classes cover the basics of nail techniques which include how to hold the nail drill correctly, how to use an electric nail file, and how to care for cuticles. We also give useful tips on how to efficiently decorate nails with colors. Gel nails are well received treatment at nail salons all over the world. Gel nails are popular because perfect glossy gel nails can last for a long time, yet they do not weaken nails and are easy to remove. The students will learn the basics as well as skilful techniques to apply long lasting gel nails. In advance gel nail classes, the students will master gradation which is quite popular in nail salons, French manicure, and gel nail art with plenty of the latest nail art design. The students’ improved skills and professional knowledge will be an immediate working strength at nail salons. In addition to basic nail design, we always follow the latest trend in design and the students will acquire wide variety of skills to create stylish nail design. The students will have the ability to adapt to the various needs of their clients, such as designs for different occasions and seasonal nail art. The students will learn practical nail treatment. Our classes include technique to fix cracks, which is required at actual nail treatment, and gel treatment skills. The students will be able to propose the suitable nail treatment options depending on the clients’ nail conditions. Classes specialized in pedicure are also available. We offer practical training classes for toenails, pedicure, and popular gel nails on toenails that are in high demand especially in summer. Cin-Cia’s instructors, who are well-received at seminars outside of the school, will teach these classes. The students will learn everything about caring for toenails, removing dead skin, and gel nails. These practical skills can be applied at nail salons immediately. The students will master the use of an electric nail file machine to work on sculptured nails and file nails. The students will gain knowledge on how to operate a nail file machine, the appropriate amount of pressure required for treatment, as well as the proper use of tools depending on the treatment. Developing these skills will help students perform nail treatment efficiently. Our experienced instructors are certified in Japan, and they will instruct nail treatment using an electric file machine. Professional nail technicians who own salons will demonstrate the flow of business, and students will perform nail services to models. From different types of nails to various treatments suitable to the lifestyle of each client, the classes are based on the actual flow of nail salons. You can contact us through LINE. Please add Cin-Cia from below.